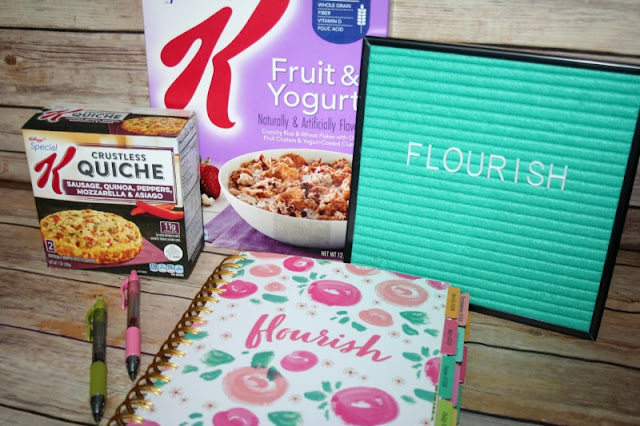 Hover over the image above to start shopping for your own Kellogg Special K® products! For the last couple of years, I have chosen a "word of the year" to focus on along with setting my goals. This year, my word chose me. I had been struggling to settle on a word and while flipping through my planner, adding important dates, there it was at the beginning of April's calendar... 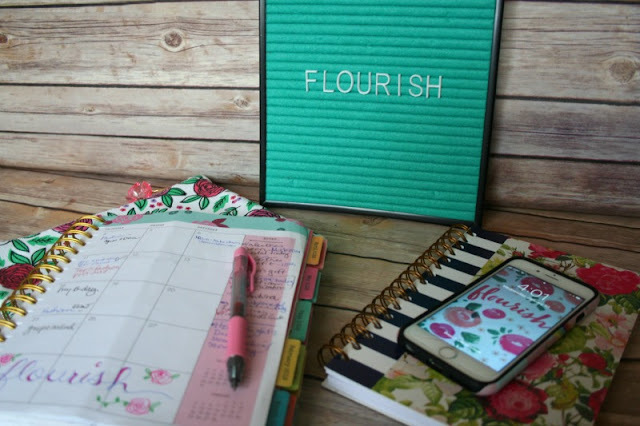 "Flourish." Flourish means to "grow or develop in a healthy or vigorous way, especially as the result of a particularly favorable environment." It was perfect! I feel like my life is at a good place right now, but I want to make it even better by Owning It in 2018. One way I am going to live out my word of the year is to pursue becoming a certified Les Mills Body Flow instructor and start teaching classes at my local YMCA. I will be 40 this month and feel like I am in the best shape of my life because I have been focused on exercising several times a week and making healthy food choices. Even though I work out 3-4 times a week, taking classes like Yoga, PiYo, Barre, and Body Flow, I want to do more. I want to inspire other women my age to try new classes and set a healthy example for my teenage son. 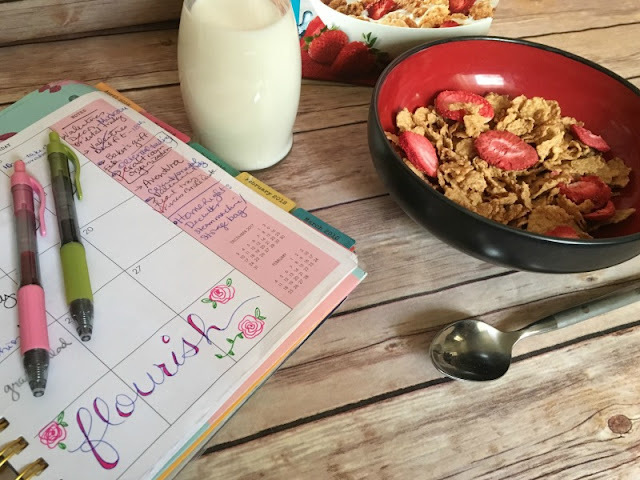 Now that my life will be getting a little busier, I need easy, healthy meals and snacks to fuel my body while on the go. I have been a fan of Kellogg Special K® for years, and it is already part of my breakfast and snack routine. 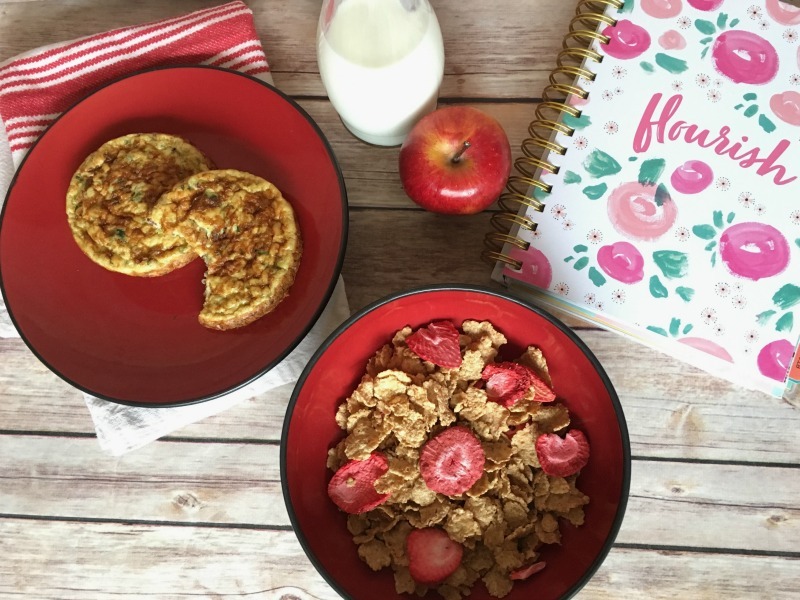 I am excited to be adding Special K® Quiches to my lunch box. 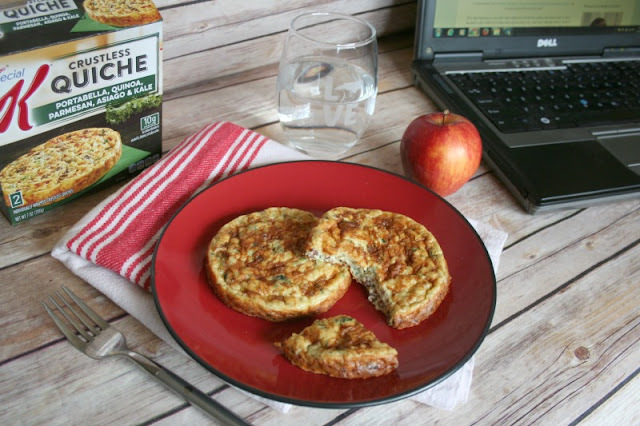 Yes, I know these crustless quiches are technically for breakfast, but I do not normally eat savory flavors first thing in the morning. They come in delicious Portabella and Sausage flavors and are perfect to take to work with me for a healthy lunch, giving me the protein needed to get through my day. Working out, along with making healthier food choices will help me to achieve my goals. If you do not have a planner, write it on a post-it note, letter board, or somewhere you can be reminded of it daily. I took a picture of the page in my planner and used it for both the Wallpaper and Background on my phone. You could also download a quote from Pinterest or make your own using a photo editing software. 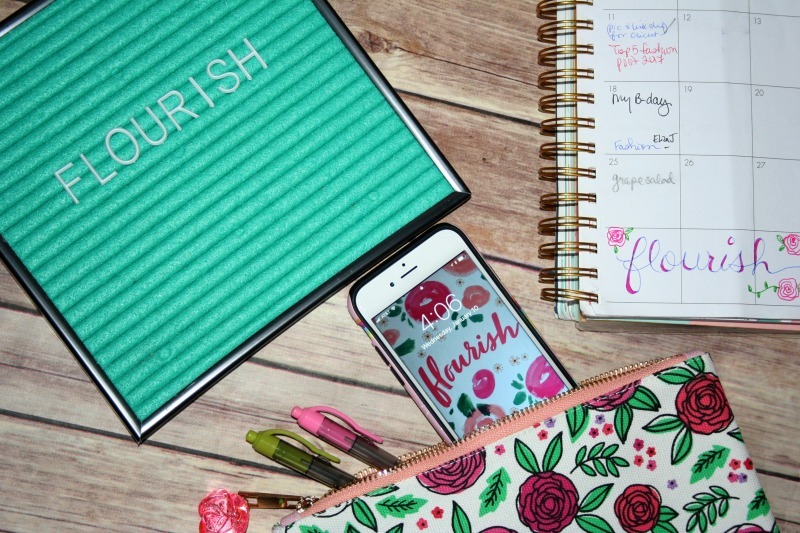 These days, between Etsy makers and cutting machines, you have the ability to customize anything from a bracelet to a coffee mug to even a pop socket for your phone! 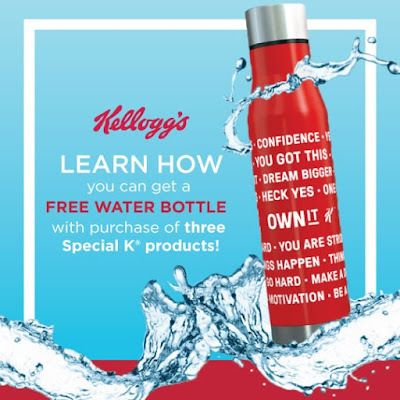 Check out these special offers from Kellogg Special K® and get started "Owning IT"
From 11/1/17 - 6/1/18: Get a free Swell water bottle with an empowerment message on it via Kellogg Family Rewards when you purchase any combination of three (3) participating Kellogg® Special K® products between 11/1/17 and 6/1/18. Receipts must be submitted by 7/1/18. Click here to learn more about the Kellogg Family Rewards offer for a free Swell water bottle with purchase of three Special K® products! 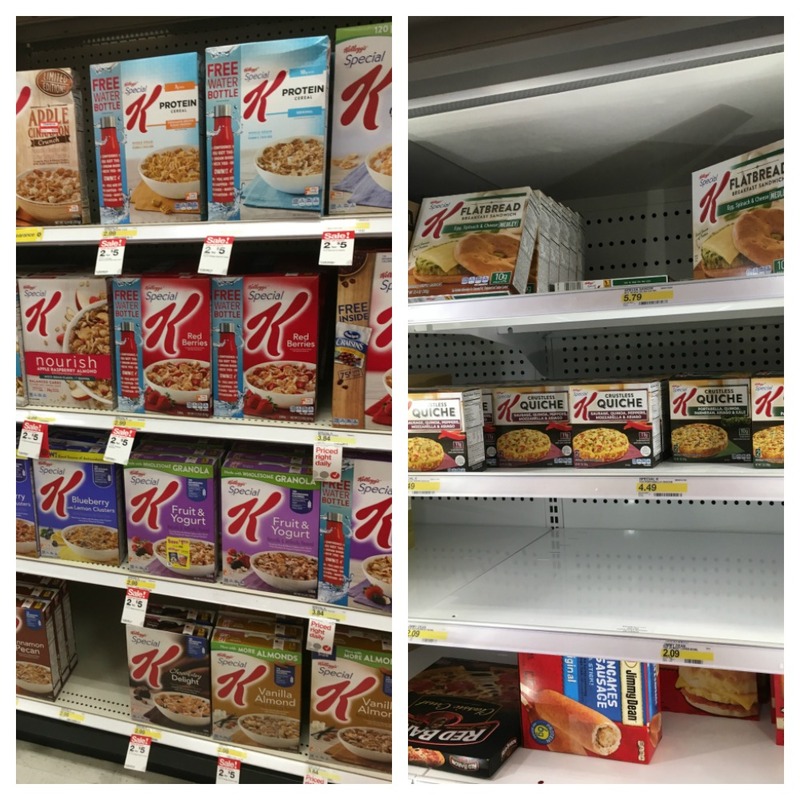 From 12/31/17 - 1/27/18: Get 10% OFF select Special K® Quiche and Handhelds at Target You can find the Special K® Cereals at Target in the cereal aisle and grab a few of the Special K® Quiche and Handhelds in the freezer section while you are at it! Do you chose a "word of the year?" If so, how do you use it to achieve your goals? I have not done a word for the year. I've done a Bible verse of the year for the past two years and have enjoyed doing that. Oh that is a great idea! I need to do that too! What great ideas! 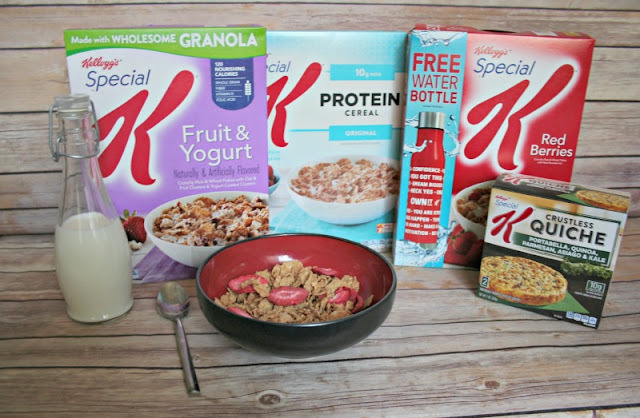 I love Special K too! I haven't done a word of the year but I think I should. Thank you! I like to pick a word to return too if my life gets off track. I think a word to focus on for the year is a great idea. I love the tips of how to keep it as a constant reminder. That is true, when I see it daily, I stay motivated. I need to do a word of the year. I need help staying on track and I think this would help! It really does help to see it daily. Thank you! I usually pick a word, but i am trying to put it in front of me daily this year to help me focus even more! Thank you! It has helped me to see it daily!